A new campaign has been set up to bring back the Childcare Vouchers scheme. 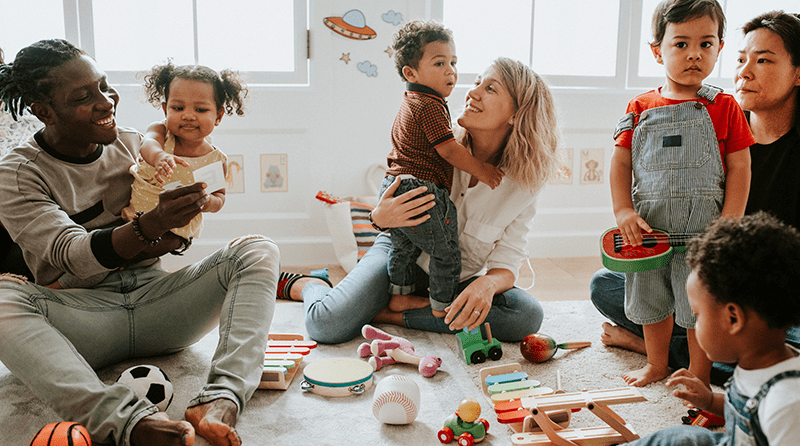 The campaign came into place after a report conducted by Sodexo Engage found that two out of five employees have asked their employers to provide Childcare Vouchers. The Childcare Voucher Providers Association (CVPA) launched a survey to get a better understanding of the impact the closure had on parents, childcare providers and employers. If the campaign is successful, the scheme might reopen for new parents and people moving jobs. A statement from CVPA said: “The closure of Childcare Vouchers to new entrants has hit thousands of working families, piling additional pressure on parents who are just about managing to balance the demands of work and childcare. “We have been overwhelmed with distressing stories from families about how the closure has affected their lives. That’s why we’ve launched our survey to get their views about how the shutdown of Childcare Vouchers has impacted them. Iain Thomson from Sodexo Engage said to the Mirror: “Many parents rely on employer-supported Childcare Vouchers to save hundreds, if not thousands, of pounds each year on childcare. Our research found that in fact, 57% of households would actually be worse off under the new scheme by the Government. The closure of the Childcare Voucher scheme has left a lot of families with fewer choices, less flexibility and reduced incentives to work. Jacquie Mills, Chair of the Childcare Voucher Providers Association, said: “Too many parents are locked out of work because of rising childcare costs and insufficient childcare support. “Unfortunately, the closure of the Childcare Voucher scheme in October 2018 has only made this situation worse. Parents are now stuck with Tax-Free Childcare which is overall less generous, more hassle, and regularly unreliable. Two hundred and seventy employers have already shown their support for the campaign. As a nursery we completely agree that the closure of the voucher scheme has affected families and their ability to pay for their childcare. We would happily support Parenta in trying to get them reinstated.